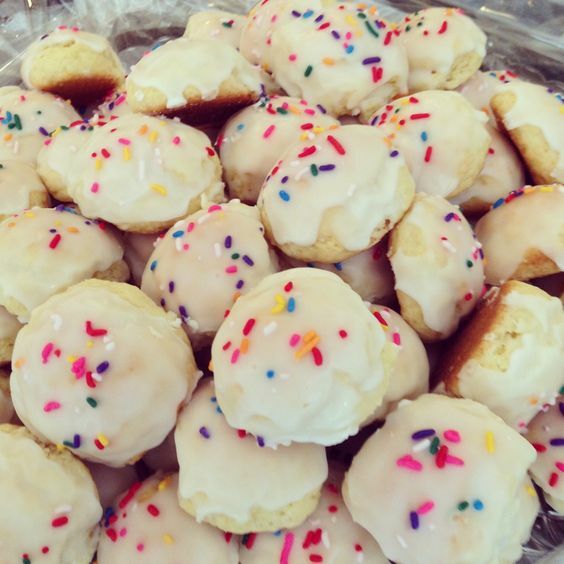 They are some of my favorite cookies I’ve ever made and I know I will make them time and time again. I already plan on making them again for my family Christmas party and I’m certain they’ll be a hit! They are easier to make then they may appear, cutting them into long rows makes it a breeze and I love that the dough only requires a quick chilling thanks to the cold butter used in the recipe. You can easily swap out the sprinkle color for any other color, a rainbow blend would be perfect for a birthday or you could do pastels on Easter, pink and red on valentines and so on. You can even find the sprinkles in single colors at some craft stores, kitchen supply stores, or online, so you can make your own blend of colors. In the bowl of an electric stand mixer cream together butter and sugar until well combined. Mix in almond extract. With mixer set on low speed slowly add in flour and mix until combined (it will take a while and will appear dry and sandy at first but it will start to come together). Mix and fold in sprinkles. Press dough into an even layer in prepared pan (I did it with my hands first then used the bottom of a flat measuring cup to help smooth it out). Chill dough in refrigerator 20 - 30 minutes. Meanwhile preheat oven to 350 degrees. Lift dough from pan using parchment overhang on all sides. Cut into 1/2-inch squares using a large sharp knife (it works best to just cut long rows). Sprinkle more sprinkles over the top if desired and gently press into dough. Transfer about 1/3 of the cookies to an unbuttered baking sheet (also do not line pan with parchment or silicone liners) and scatter cookies out spacing cookies 1/2-inch apart. Bake in preheated oven 8 - 12 minutes (keep remaining that aren't currently baking refrigerated). Repeat process with remaining bites, adding them to a cool baking sheet. Cool completely then transfer to an airtight container and store at room temperature.